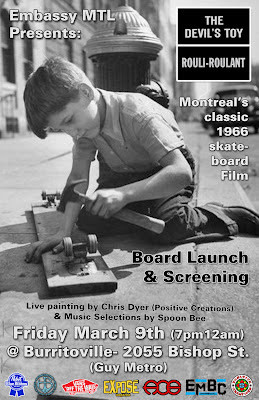 Last Friday night there was a screening and board launch dedicated to the classic 1966 Montreal Skate movie "the Devil's Toy". I live painted all night then, to the amazement of thousands. I forgot to post the flyer I made for it, so here it is. 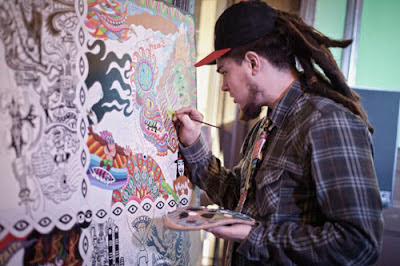 It was covered by Expose Skate Mag that just posted a blog with pictures of the event. Check it out HERE.